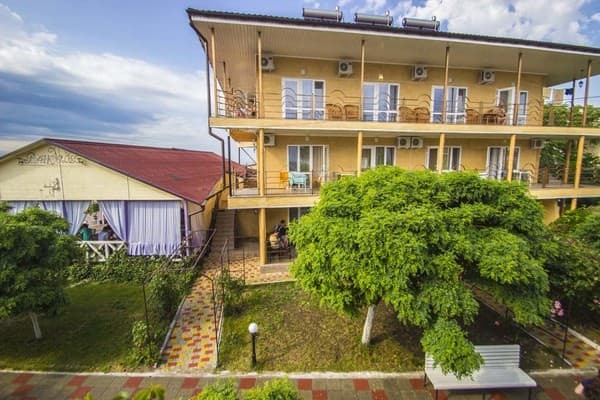 Holiday Village "Harmony" is located in the central part of the village of Zatoka, 30 meters from the beach. 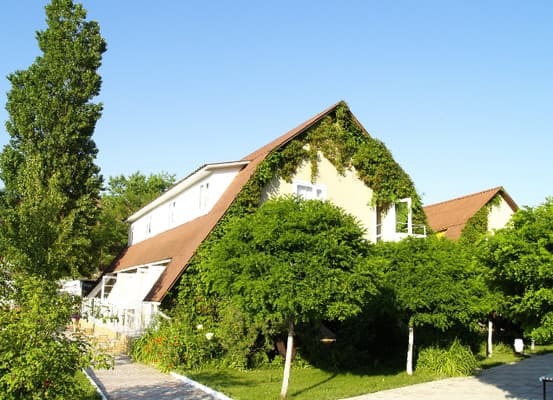 The base consists of 4 two-storey cottages with double and triple rooms. 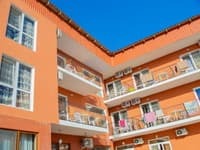 The rooms are equipped with TV, refrigerator, air conditioning and a bathroom with shower, washbasin and toilet. 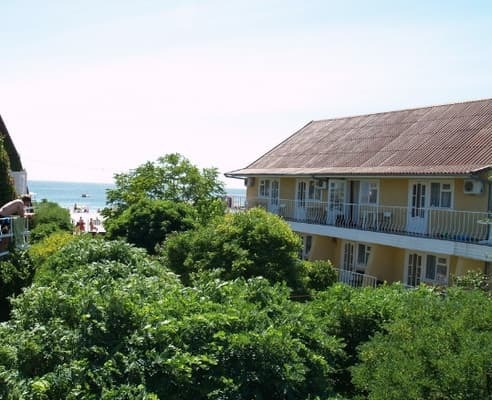 Each room has a balcony with a view of the sea or the garden. 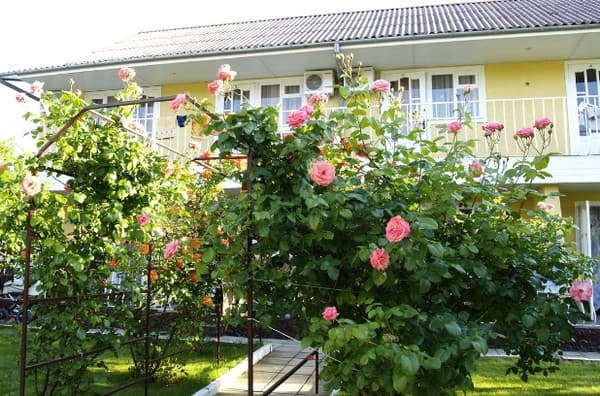 In one of the cottages in 2012, reconstruction was carried out, this cottage has rooms with modern renovation, panoramic windows, new furniture, terrace and plasma TV. Vacationers can order three meals a day in a cafe that is located on the beach. On the territory there is a bar, a shop, a massage room, a children's playground, access to Wi-Fi. Guarded parking is included in the price. For non-cash payment there is a terminal. Near the recreation base there is a market, a supermarket, water slides. There is a rental of sun loungers and umbrellas (approximate cost - 45-50 UAH. Distance from the recreation center "Harmony" to Odessa is 61 km away. 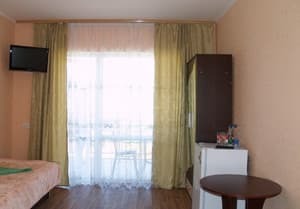 Description of the room: There is one double bed in this type of room. This room has a balcony. 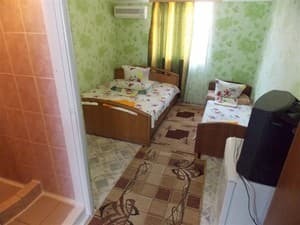 Description of the room: The room is located on the second floor of the cottage, it is equipped with a double and a single bed. Description of the room: Spacious room with a double bed and one single. On the territory of the recreation center "Harmony" there is a cafe-bar, where it is possible to order meals on the menu. The complex three-times-a-day meal is provided with an estimated cost of 330-350 UAH. There is no kitchen for self cooking. Use of the multibar is not allowed. 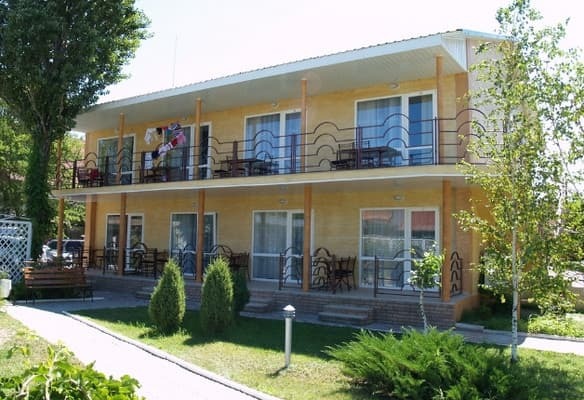 Holiday Village "Harmony" is located in the central part of the village of Zatoka, 30 meters from the beach. The distance to Odessa is 61 km.